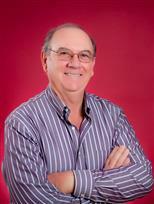 Roger Turner is the Broker/Owner of RE/MAX Unlimited, Inc. in Harrison, Arkansas. Roger is a full time licensed Real Estate professional in both Arkansas and Missouri. Through the more than 45 years of service, Roger has built lasting relationships by providing top notch service in Northwest Arkansas along with Southern Missouri. Roger Turner has an extensive knowledge of the real estate market, the surrounding areas, and every other aspect of real estate to include the loan process. Roger brings a lifetime of business excellence and passion to each and every client. His quality of service, market knowledge and professionalism has built him a career on repeat and referral business. Whether buying or selling, Roger Turner will provide you the special attention one expects from a dedicated, top-producing real estate professional. He continually evolves with the real estate times through books, seminars, and through his thirst of knowledge. Let Roger’s expertise in real estate work for you. It will be a lifetime partnership you will appreciate.